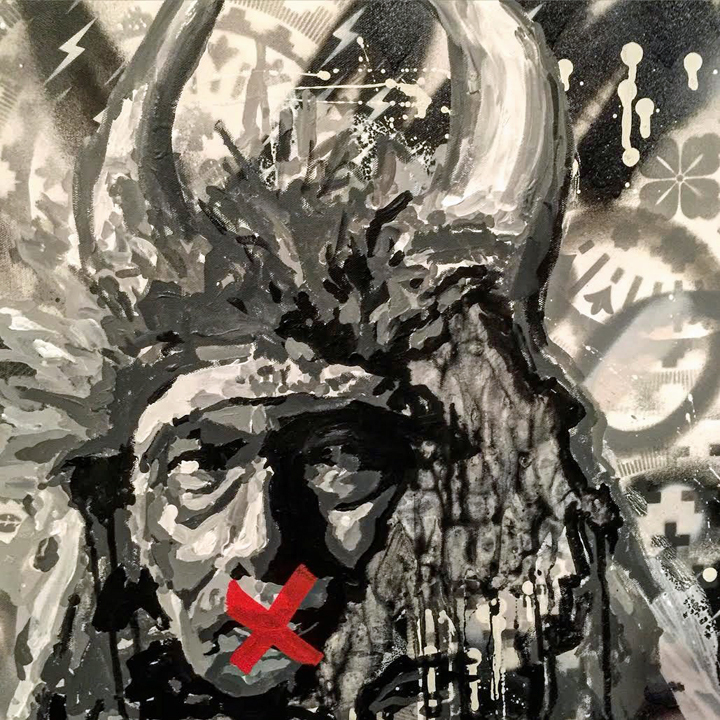 A member of the Pyramid Lake Paiute Tribe, Colorado-based Gregg Deal is an accomplished muralist, painter and performance artist. I first encountered his artwork awhile back on the grounds of the EBC High School For Public Service in Bushwick, Brooklyn. 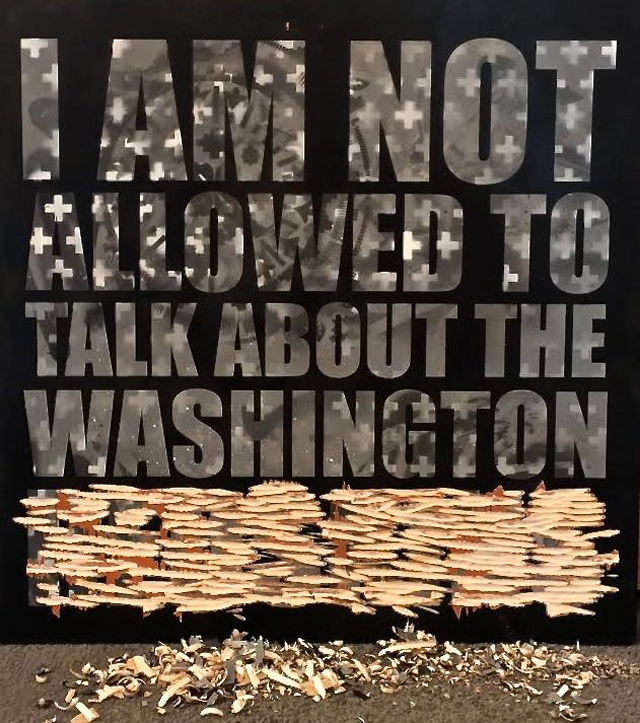 This past weekend, I met him down in DC at the Smithsonian Arts & Industries Building, where he was one of 40 artists featured in CrossLines, presented by the Smithsonian Asian Pacific American Center. 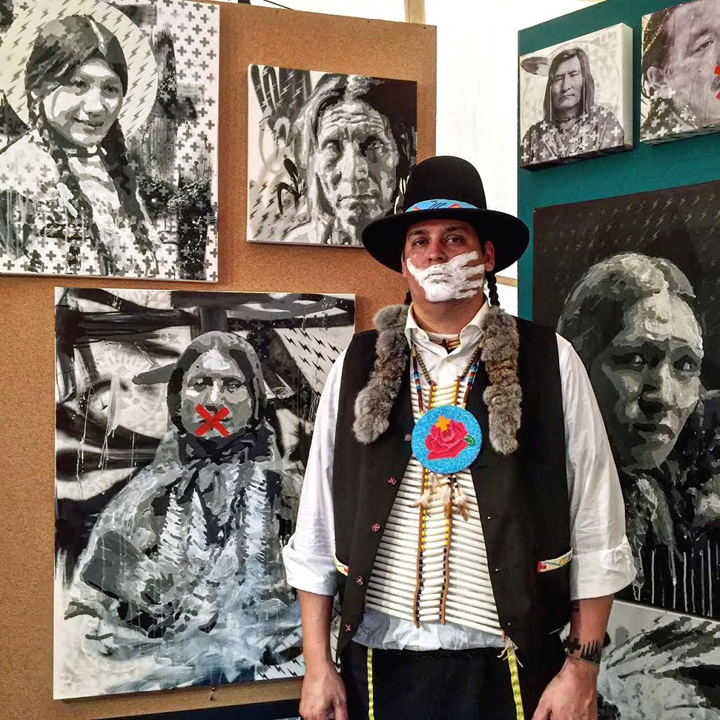 What spurred you to so fervently embrace your Native American identity? I don’t know that I specifically embrace it. It is just one of my many identities. I am, foremost, a human being. I am also an artist, a husband and a father. You are sitting here in a tipi. What does this particular setting represent? This tipi represents Washington DC. It is where museums, politics, sports and commerce all contribute to a view of Native Americans. 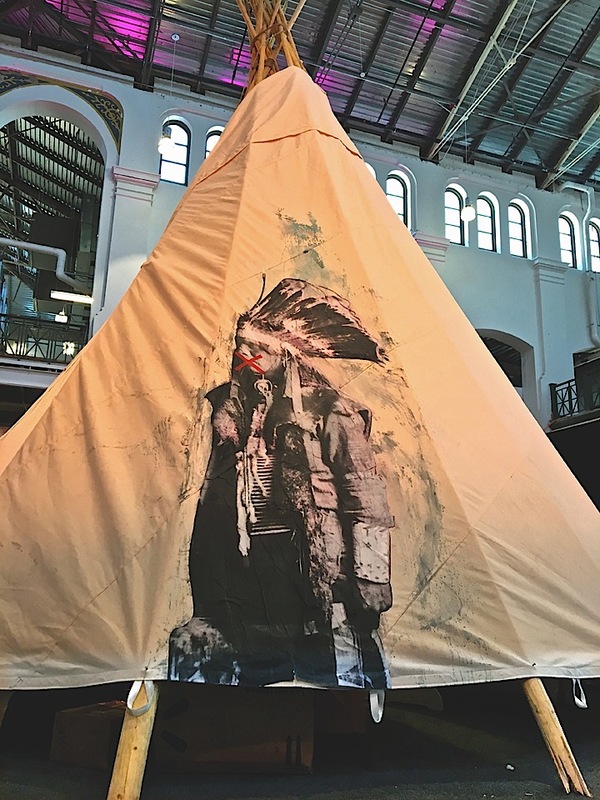 What about the paintings inside this tipi? How did you decide which to include? I had to include works that would be acceptable to the Smithsonian. They had to be safe. And so I chose identifiable stereotypes of Native Americans — the only image most others have of us. And as today’s event progresses, you continue to cross out the mouths of your portraits with bold red lines. Yes! That is because of voices our censored. We have not been permitted to speak for ourselves. I, myself, have been censored. What about your interpreter? You often speak through an interpreter. That is because our lives — our experiences, feelings and thoughts — are almost always interpreted through others. 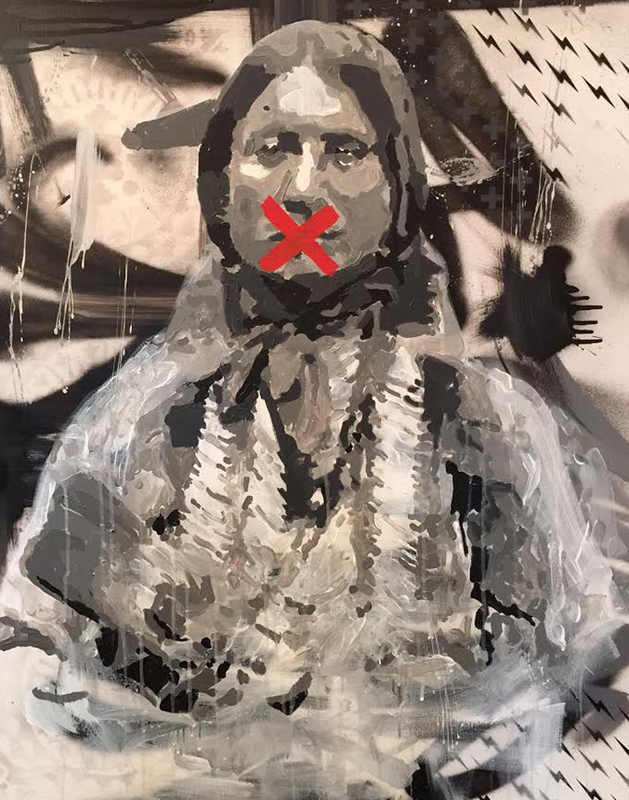 Authentic indigenous voices have yet to be heard or recognized. You are certainly creating awareness of that here.